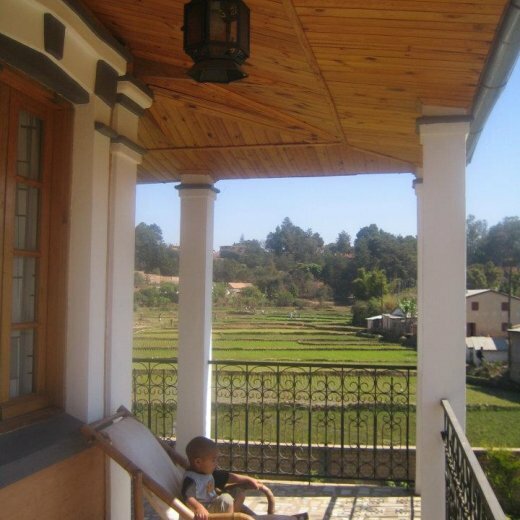 A homely guesthouse to stay in Antananarivo, located only10 minutes drive from Ivato international airport in the Talatamaty area. In the rooms, you are offered with coffee and tea services. You can ask for any drink or other services. Wifi connection available and some books and dvd's about Madagascar. Sightseeing in Antananarivo is a popular thing to do for visitors. There is plenty to see and to do in Antananarivo. If you are planning some sighseeing in Antananarivo, you need at least six to seven days to visit all the tourist attractions. We love to give you some ideas and show you the beauty of this old French colonial city and its surroundings. The rich flora and fauna in the suburban areas are among Antananarivo's attractions. Nature lovers would find the green and lush hills surrounding Antananarivo an ideal location for a good hike or bicycle trip.